Creating a niche of Aluminum Scaffoldings such as Aluminium Scaffolding, Boiler Aluminum Scaffolding, Aluminum Scaffolding for Boiler, Moving Scaffolding, Boiler Cleaning Aluminum Scaffolding, Cleaning Scaffolding and many more items at its best, with utmost quality. We are Leading manufacture of Boiler Aluminum Scaffolding. We can make in any size of Boiler Aluminum Scaffolding as per requirement of our customer. This is a Aluminum Scaffolding. 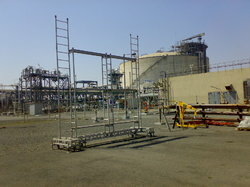 This Scaffolding is used for Boiler. This Scaffolding also used for Building. We are the leading manufactruers of moving scaffoldings in india.we manufactrue moving scaffolding as per our requirement of our customers. We are leading manufacture of Boiler Cleaning Aluminum Scaffolding. We can manufacture this Boiler Cleaning Aluminum Scaffolding in any size and Good Quality as per requirement of our customer. We are manufacture of Aluminum Scaffolding. This is a Boiler maintaining Scaffolding. 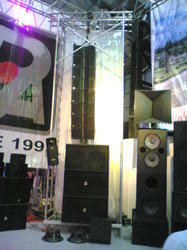 We ar d Quality as per requirement of our customer. 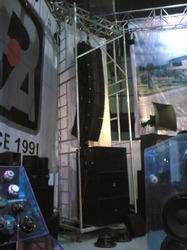 This line Array scaffoldings used to hang sound on it. 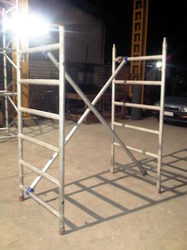 We are the manufacturer of Aluminium Scaffolding Tower along with certificate. 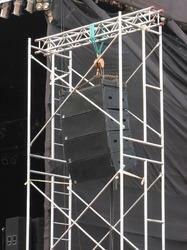 This Aluminium Scaffolding Tower used for sound. 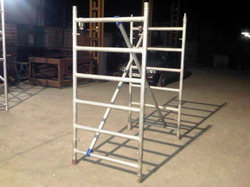 This Aluminium Scaffolding tower also use for building.